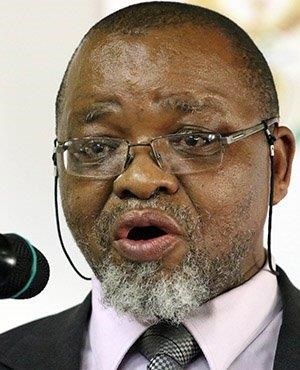 Public consultations on the draft Mining Charter have been extended to end of August to allow further engagements, Mineral Resources Minister Gwede Mantashe said on Sunday at the end of a two-day mining summit in Boksburg. Mantashe said the extension was a requested by stakeholders during the meeting. He rejected suggestion that the extended period would derail the finalisation of the Charter. “We have agreed to an extension of public comments on the charter to the end of August. This will give all the stakeholder more time to air their views,” he said. The Charter is now projected to be finalised by October or November 2018. The minister said that a number of processes - including taking the draft Charter to Cabinet and aligning it with BEE policies - will take place while consultations were ongoing. Government has maintained that the charter will address the economic imbalances of the past and open the industry to black participation. Some of the contentious issues that were discussed at the summit include 10% free-carried interest on new mining rights to be allocated to communities and mine workers, as well as the "once empowered, always empowered" clause. Parts of the summit were closed to the media. The Charter, which was gazetted in June, gives mining companies five years to increase black economic empowerment (BEE) ownership to 30%. It also stipulates that a minimum of 70% of total mining goods must be procured from local firms, with 21% sourced from goods manufactured by black entrepreneurs. Mining companies have criticised sections of the new Charter, arguing that some its provisions could scare off investors and were not workable.